Stanislaus State had had a change of mindset, laying out its Strategic Plan with “Be a student-ready University” as Goal 1. An extensive array of practical student services, support and opportunities back up this lofty idea, vetted with research and evaluated with data. From high school outreach for young prospects to career planning for graduates, the University works to help students find their path and fulfill their dreams. 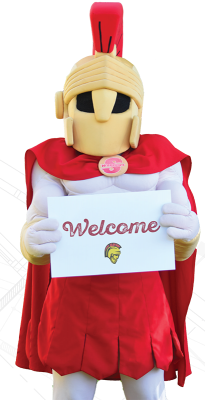 In any given year, nearly 75 percent of Stanislaus State’s incoming freshmen come from families in which no one has attempted to earn a four-year degree. These promising pioneers have to figure out the college code ― the process, the choices, the workarounds ― without any in-house help or innate confidence that they can do this. About 9 out of 10 Stan State students qualify for financial aid. Over half self-identify as Latinx, among them significant numbers of Dreamers and DACA students. These are the students the University needs to be ready to serve and help to succeed. The following stories divide student success efforts into categories, covering help for a better start, better grades, a better university experience, better career prospects and, ultimately, a better life. Every California State University admissions office sets out pamphlets at career fairs, offers tours and explains A-G course requirements to high schoolers. Stan State goes a step further, taking its show on the road and traveling to area elementary, junior high and high schools to explain what college is like, how to apply and how to pay for it. These off-campus programs reached nearly 33,000 area students last year. As a part of the immigrant-rich Central Valley, Stan State offers information sessions for families in Spanish, developing a culturally relevant program other CSU campuses look toward as a model. The University, named a 2018 champion of Higher Education for Excellence in Transfer, is using a $186,000 College Futures Foundation grant to work with community colleges in Modesto, Merced and Stockton to help their students move on to four-year degrees. This summer the University inked a deal with San Joaquin Delta College to smooth the path for San Joaquin county students planning to earn a degree at the Stanislaus State Stockton Campus. The University has also established a Center for Excellence in Graduate Education, offering workshops and information for prospective grad students to explore. Getting the acceptance letter brings cheers, excitement — and so many questions. Past the first flush of triumph, incoming students must make a host of consequential decisions. Stan State is ready for them with programs in place to help newcomers make the shift to college life. New Student Orientation is designed to transition incoming freshmen to the University. This past summer, the program was expanded to include an overnight stay in the residence halls and a second day for more than 1,600 freshmen. This was done to allow students time to develop stronger relationships with their peers, faculty and staff, increase their understanding of campus resources and strengthen their sense of belonging to the University. Freshmen parents, families and guests were invited to attend their own orientation offered in both English and Spanish. The University provided day-long orientation sessions for more than 1,000 incoming transfer students. There was also a welcome event for new graduate students. Every fall, soon after classes start, Stan State holds Freshman Convocation, where the newcomers hear words of wisdom and encouragement from University leadership. 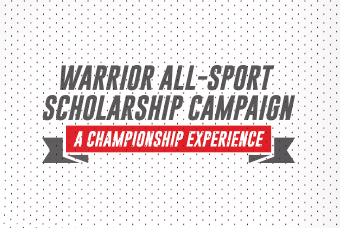 A majority of Stan State students receive financial aid, which can involve multiple scholarships, grants or loans from different types of institutions. Every university offers help in navigating those complexities. Stan State adds an extra component for student financial stability: Savvy. More than 1,400 students took advantage of free financial literacy workshops and speakers this summer and fall. Topics of the 25 presentations included spending smart, managing debt, buying a car and identity theft. A Finance and Resource Fair is held each spring. “The goal is to bring useful, real-world financial information to students and have them learn at the point where decisions are made,” said financial aid advisor Landy Gonzalez-Hernandez. 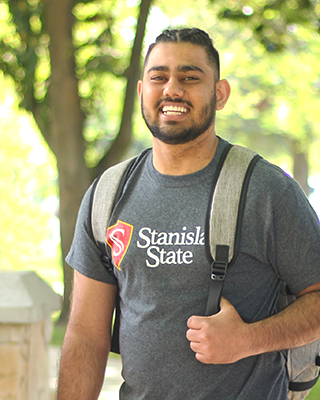 Students arrive at Stan State with a wide array of preparations and skills, from a variety of backgrounds and experiences. Stan State has designed programs to meet students where they are in their academic journeys, building strategies to bolster success. The Elevate program is one of those strategies, an immersive residential experience that supports roughly 60 incoming freshmen each year. They live on the same floor in the residence halls and fill three sections of a University English class expanded with practical support like note-taking and test-taking skills. The same expanded course is available to all freshmen. 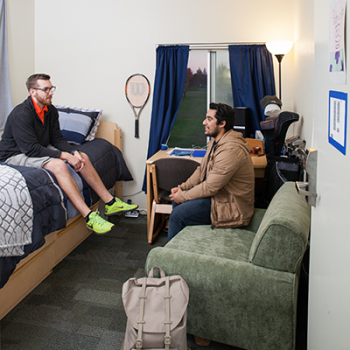 In addition to a residential advisor, each residential floor has an embedded peer mentor who sits in during their class time at least weekly in order to provide personalized academic support to students. Intensive advising and tutoring are included. A faculty and curricular coordinator arranges research opportunities and other academic enrichment experiences. Bettencourt-Wojciechowski served as advisor in Stan State’s grant-funded PACE (Program for Academic & Career Excellence) and did her doctoral research on the impact of residential living-learning programs on students from underrepresented populations. 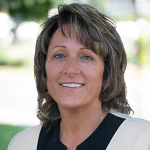 Bringing together her experience, research and passion for supporting student success, Bettencourt-Wojciechowski and her team created a program to meet common needs widely seen among newcomers transitioning to college life and University-level classes. Elevate is in its third year. Early numbers show promise for the living-learning approach. After their year together, 92 percent of the Fall 2016 group had GPAs of C or better, compared to 81 percent of all Stan State freshmen. Campuswide, 12 percent of freshmen ended their year on academic probation, versus 8 percent of the Elevate group. Some Elevate students from each cohort have continued for a second year, when the program focuses on career preparation. 5 | Been There. Done That. Here's How. Even for excelling students, some courses prove a challenge. In addition to programs targeting individual needs, Stanislaus State has created a layer of peer support for classes where students may need some additional help. 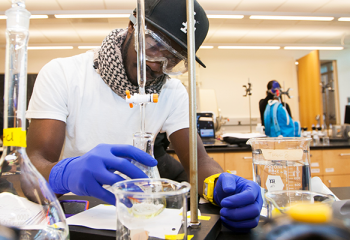 Eleven biology, chemistry and political science courses chosen by their departments receive extra help. Each section of the courses has a dedicated student instructional leader who runs two to three study sessions a week for class participants. “We go to every single class with them and we have been where they are. We see when their faces look really confused,” said Jacqueline Cerda, a junior in communications. “I ask the professor questions and walk up and talk to him. It helps them see students can do that,” said Jacklyn Heslop, a graduate student in English. Both are student instructional (SI) leaders for sections of introductory biology. They see their primary job as helping class members become independent learners. They plan study sessions aligned with the lectures and provide support to students struggling with any of the material. Success comes, both said, when students start asking the questions themselves. 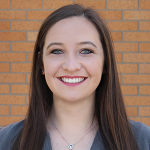 Heslop has been an SI leader for three semesters, or ever since it began in fall 2017. She was Cerda’s SI leader in biology and recruited her for the program. In fall 2018, Heslop and Cerda were among 23 SI leaders assisting in 29 course sections, serving more than 400 students. On average, roughly one-third of students in the targeted classes stop by for extra help at some point in the semester. Early data show an academic boost for those students. Study group attendees earned a mean course grade of 2.50, compared to 2.12 for students who did not take advantage of the study sessions. “Supplemental instruction can have an impact on student retention and graduation rates by moving more students successfully through these key gateway courses,” said Erlynn Johnson, academic support lead for the program. 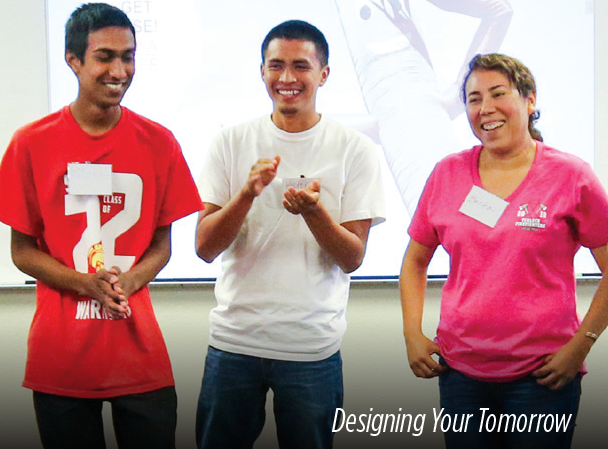 At Stan State, service learning adds real-world experience to the mix. Nearly 200 classes across two dozen majors guide students as they participate in meaningful community service experiences directly related to course content. Over 15 years, more than 200 students have trained in income tax preparation to provide free assistance to low-income adults at the Turlock Salvation Army Community Center. Science Days draw in STEM majors, who also pitch in for K-12 STEM campus tours. Kinesiology students lead exercise classes in Turlock public parks, learning how to tailor workouts for the very old and the very young. Geography students worked with the county of Merced to plot annexation documents on an interactive, online parcel map. All told, 3,180 Stan State students took service learning courses in 2017-18, providing an estimated 67,220 hours of community service at 283 sites. Close "Been There. Done That. Here's How." It can be a winding road from a freshman’s first day to graduation. Changing majors can happen multiple times, with each shift calling for a fresh mapping of requirements and matching existing credits. Academic advising has added emphasis at Stan State, where about 75 percent of students are first generation college-goers who tend to need more intensive guidance. Professors in each major and professional academic advisors at the Academic Success Center listen and explain, offering traditional, in-person advising. For what-if scenarios, the “can I squeeze in a minor” and “can this class count as” queries — there’s an app for that. The University tapped three online programs under My Academic Pathway (MAP) to let students explore options 24/7 and check their progress. Stan Degree Progress tracks student transcripts against major and general education requirements. Stan Planner organizes a course-taking roadmap, laying out what to take when. That planning also helps the University allocate classes to meet student needs. Stan Scheduler integrates a student’s plan for the semester’s courses with times they are offered, simplifying class scheduling. As an added backstop, the University has adopted on-the-cusp advising. The system flags seniors needing just a few credits to graduate. Advisers step in to help them find alternatives and finish on time. 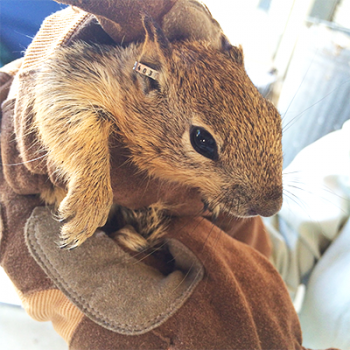 Curiosity rules in Jennifer Cooper’s lab, where 10 students study California ground squirrels. For Cesar Estrada Aguila, a junior in biology, the science focuses on foraging behavior gauged against food density. His query: As food supplies dwindle within a foraging patch, at what point do squirrels give up and move on? Rajnee Johol, a senior in biology, studies squirrel gut parasites and compares the amount of infestation to the animal’s overall health and genetic diversity. Her research question: Do squirrels with greater genetic diversity have greater resistance? Over three years Cooper's team has captured, tagged, swabbed and released about 650 different squirrels across three nearby national wildlife refuges. Many of the critters have been caught multiple times. Many even have names. Stanislaus State students are among few scientists deeply studying the species, creating an ever-expanding trove of squirrel traits, genes, health and migration habits. Students are invited to join the research because of their interest, not their grades, but their grades seem to rise with the workload, Copper said. “It made me more capable as a student,” said Estrada Aguila, who plans to study marine ecology. 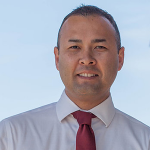 His experience is borne-out in data from the Stan State Student Engagement in Research, Scholarship and Creative Activity (SERSCA) program, which provides about 15 undergraduate and 10 to 15 graduate assistantships a year, as well as 30-50 mini-grants. While the six-year graduation rate for all freshmen starting in fall 2010 at the University was 57 percent, every student (100 percent) who participated in a SERSCA project graduated within six years. “SERSCA-funded research, scholarship and creative activities have impacts well beyond the intellectual and professional development of students,” said Matthew Cover, who facilitates the SERSCA program. 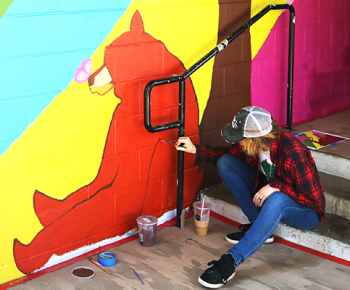 More than 80 clubs, organizations and fraternities/sororities offer Stanislaus State students a chance to connect, have fun and lend a hand to worthy projects. The University Art Gallery, musical performances and theatre productions support a vibrant cultural scene. NCAA Division II teams challenge members to stay in top form, while intramural sports focus on the fun side of getting active. Involvement in student government, the Associated Students, Inc. (ASI), helps develop leadership skills. Three ASI past presidents ran for public office this November. Basic needs: The Warrior Food Pantry provides emergency food assistance on weekdays. The program also helps eligible students sign up for the CalFresh food assistance program. Care and concern: Psychological Counseling Services offers individual and couples counseling, workshops and presentations. Targeted programs serve veterans, students with disabilities and the LGBTQ+ community. The Diversity Center provides a welcoming location for get-togethers and presentations. Safety: Stanislaus State Police act as liaisons for students with any outside law enforcement or immigration agency seeking to come on campus. Stan State also has a full array of sexual assault prevention and response programs. Health: The Student Health Center is an outpatient clinic providing primary medical care and health education. Getting active: Besides classes offering jogging to jazz dance, the University has a full-service Student Fitness Center and a full slate of intramural sports. A college catalog bursts with fascinating courses, any one of which could lead down a path to a different life. But in a world of so many choices, which path is the right one? After a nine-year hiatus, the Stanislaus State Career and Professional Development Center reopened in 2017, giving students more tools to plan beyond commencement. 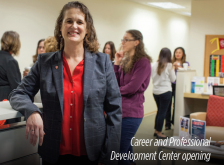 Since spring 2018, career counseling and employer connection events have been offered weekly at both the Turlock and Stockton Campuses. The Center provides one-on-one career coaching, help with internship searches, and skills training. 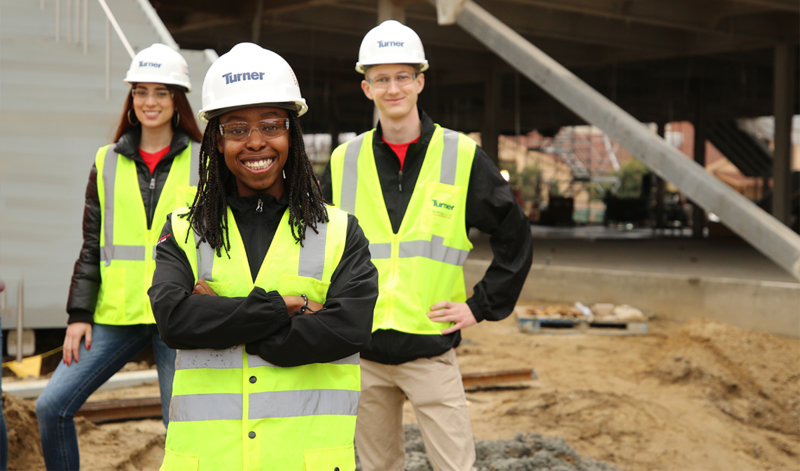 The online platform HireStanState connects students with employers in the region. Online resources help students match occupations with interests, research salary data and spot labor market trends. Nothing to wear to an interview? 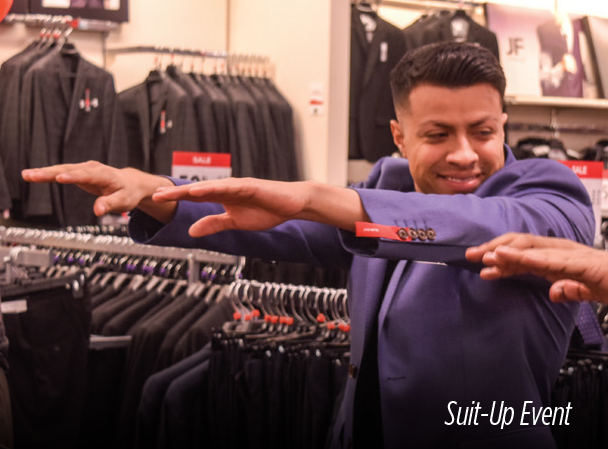 The Center partners with the JC Penney at Vintage Faire mall for the annual Suit-Up Event, where students can get a 40 percent discount on office wear and advice on professional wardrobe. An office wear lending closet is being organized. Designing Your Tomorrow pop-up courses prompt students to consider new possibilities and build career resiliency in preparation for a fast-changing future jobs market. A $50,000 CSU Innovation Development Grant is supporting development of Designing Your Tomorrow micro-courses targeting high school students, underclassmen, upperclassmen and community members.